The Skywatch Camera Network camera located atop UnityPoint Health – Methodist in downtown Peoria. 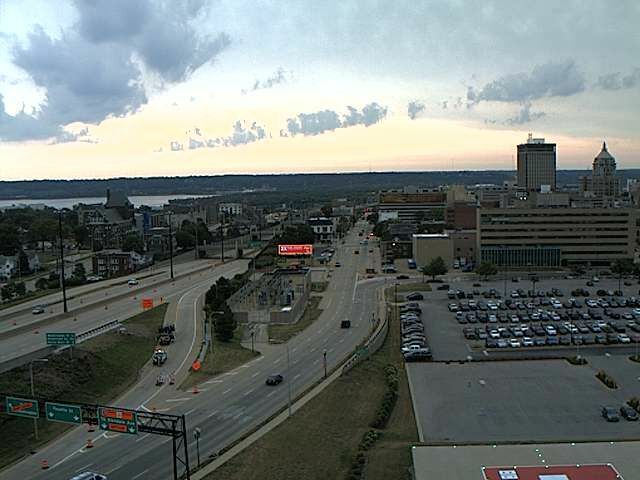 The camera overlooks the busy I-74 corridor looking south to the Illinois River, through much of downtown Peoria toward the Murray Baker Bridge. The camera is brought to you by Avanti’s Restaurant with 5 locations in Peoria, E. Peoria and Pekin. Home of the Gondola and great Italian food. Serving Central since 1966. Kids eat FREE on Sunday and Wednesday! The time lapse covers 90 minutes.